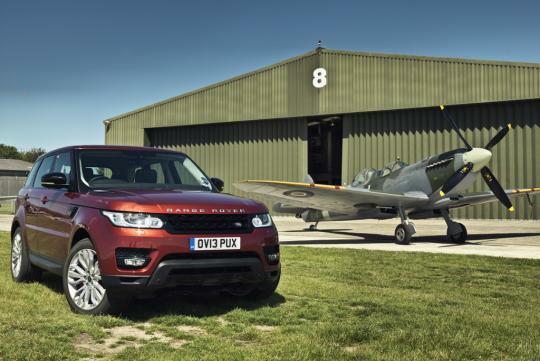 Two examples of British engineering, the new Range Rover Sport and the legendary Supermarine Spitfire, have engaged in a unique duel to measure their off-road mastery. 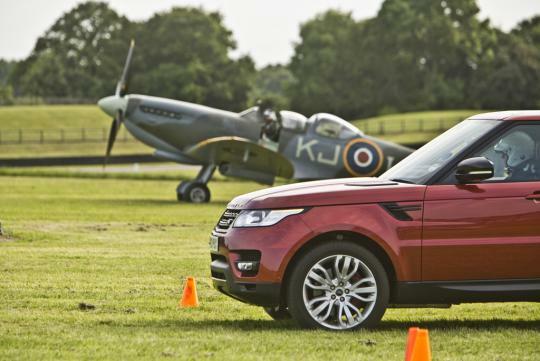 The Range Rover Sport, the fastest production Land Rover to date, representing the latest advances in all-terrain performance has been pitted against Britain�s most famous fighter aircraft in a high speed off-road race along the grass airstrip at the Goodwood Aerodrome in Sussex. Land Rover was invited to take part in the challenge, formulated by Goodwood�s FortyOneSix.com website. It provided a perfect curtain raiser for the Festival of Speed weekend, where the new Range Rover Sport will be making its U.K. debut. 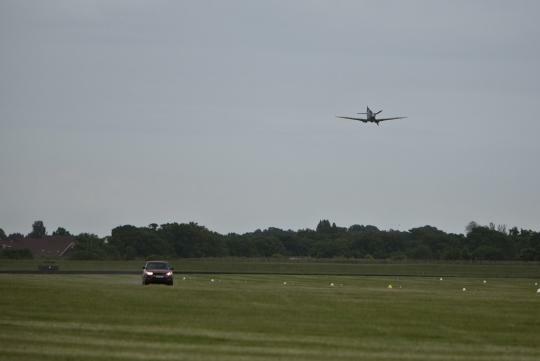 The race � the first of its kind at the airfield � involved a straight drag run down and back on the runway, punctuated by a nimble U-turn. It was particularly challenging being conducted on the bumpy grass airfield, notorious for being a low traction surface. 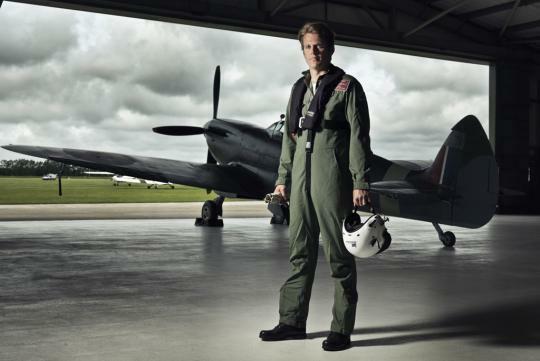 The Vickers Supermarine Spitfire lined up for the contest was a 1945-vintage model, piloted by Matt Jones from the Boultbee Flight Academy. 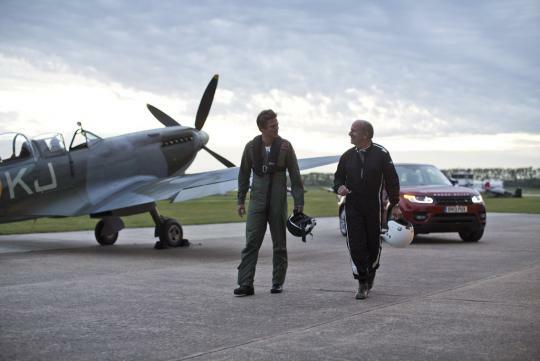 Powered by a 1,750bhp V12 Merlin engine, it has a maximum airspeed of 643km/h, and its typical acceleration on take-off is up to 128km/h before the wheels leave the ground, making it a strong contender for victory against the Land Rover. 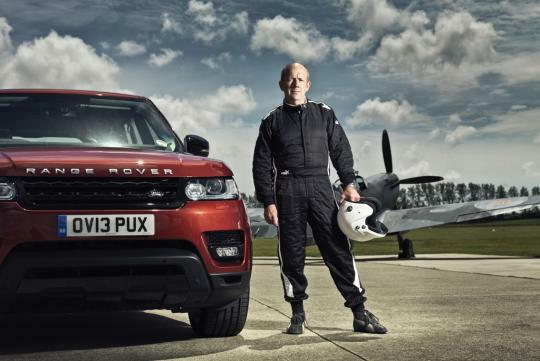 Mike Cross, Jaguar Land Rover�s Chief Vehicle Integrity Engineer, was at the wheel of the All New Range Rover Sport powered by a 5.0-litre supercharged V8 model with 510bhp. Even though grass is one of the most challenging terrains, Cross still managed to clock a top speed of 209km/h before braking for the mid-race turn.